With tomato season in full swing, it’s the perfect opportunity to take advantage of their abundance by trying different tomato-based recipes. 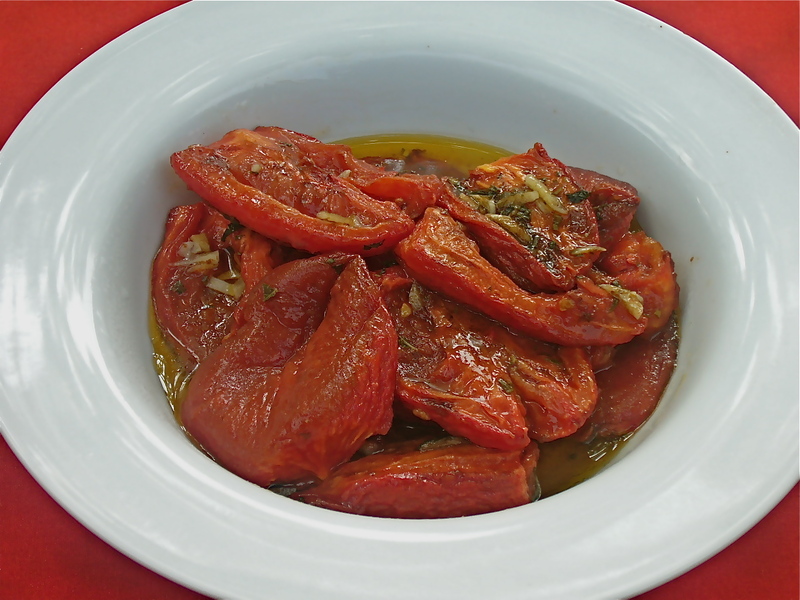 This slow roasted tomato recipe was inspired by the Pomodoro Al Forno recipe that appeared in the September 2008 issue of Bon Appetit magazine. I have adjusted the seasonings and simplified the technique so that you can just let them cook without having to turn them part way through. 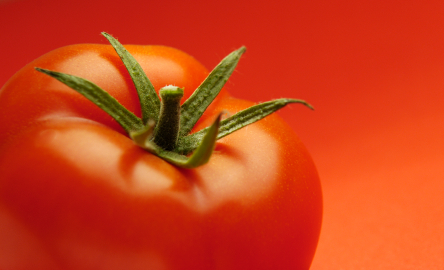 The secret to success is ensuring that you cook the tomatoes long enough – if you do, the results are impressive. I give a few suggestions of how to use them at the end of the recipe. This recipe can also be made in the winter with greenhouse plum tomatoes that you wouldn’t normally want to eat – the roasting process concentrates the flavour so the resulting flavour is sweet and vibrant. Place peeled and seeded tomato halves in a large roasting pan, cut side up. Pour pour olive oil over tomatoes and ensure that oil covers the bottom of the pan. Sprinkle tomatoes with fresh chopped herbs, chopped garlic, sea salt, sugar and balsamic vinegar, making sure it is evenly distributed. Roast tomatoes for 2 hours. Check on them at 2 hours for progress. Continue cooking until they have collapsed and turned dark red, approximately 40 more minutes. Serve with your favourite dishes. Tossed with your favorite pasta. Add a bit of fresh oregano or basil and top with grated parmesan. Layer tomatoes in a small baking dish. Top with grated parmesan cheese and bake at 350 degrees Fahrenheit until cheese is bubbling and beginning to brown, approximately 20 minutes. Serve as a side dish to grilled or roasted meats. Place a couple of spoonfuls of roasted tomato inside a grilled cheese (try it with aged cheddar!). Top a homemade pizza with roasted tomatoes instead of your regular tomato sauce. Compose a caprese salad with fresh buffalo mozzarella and basil. This is a great idea in the winter when fresh tomatoes are less than stellar. Use tomatoes in a lasagne – layer tomatoes with other roasted or grilled vegetables, such as zucchini, eggplant, mushrooms and tomatoes. Just eat them on their own! Use your imagination – the possibilities are practically endless!